Our Seed Wreath is the perfect gift for the wild birds that provide feeding enjoyment year round. 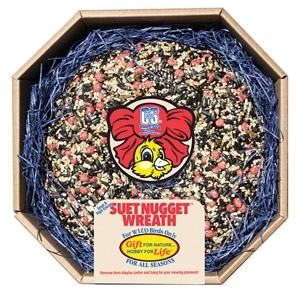 Made the same way as our Wild Bird Snak™ products, and is a great gift idea for the bird lover! Great Wild Bird acceptance all year long.